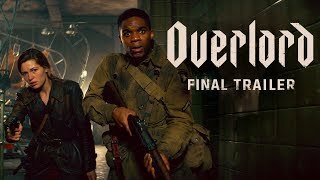 Overlord Movie Drop into Hell. 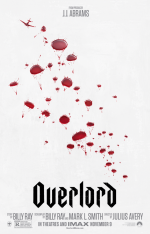 Overlord release date was Friday, November 9, 2018. This was a Nationwide in theaters release. Based on an idea by Billy Ray and J.J. Abrams. 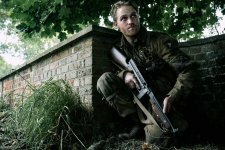 A clip shown at CinemaCon (4/25/18) featured a narrator saying, "you are about to embark upon a great crusade. You will bring about the destruction of the German army. The eyes of the world are upon you". added the tagline: "Drop into Hell."